Colour blindness affects 1 in 12 men and 1 in 200 women in the world. In Britain alone there are approximately 2.7 million people who experience colour blindness. There are various forms, but all of them make it easy to confuse certain colours as they can appear indistinguishable. The science behind colour blindness is related to the light sensitive cells in the retina, which normally respond to wavelengths of light. This response allows us to perceive colour. The light receptors which are responsible for colour vision are called cones. Normally we have three types of cones, for red, green and blue light. If one type of cone is only partially functioning, or doesn’t work at all, you can experience colour blindness. Deficiencies in red or green cones are most common, while the rarest form of colour blindness is Monochromacy. This causes monochromatic vision and only affects 1 in 33,000 people, and is accompanied by light sensitivity. Each type of colour blindness can cause different colours to be confused, as they appear washed out and murky. Often, children can be unaware that they are colour blind, and go through school struggling with colour coded worksheets and lacking confidence in art classes. It can feel embarrassing, especially if you make an error when choosing colours. Colour blindness is incurable, and although there are glasses available which can enhance colour perception, these are expensive and don’t work for all types of the condition. Bright light makes colour recognition easier, so make sure your class is well lit. Use patterns and not just colour to differentiate categories. Consider if a worksheet would make sense in black and white. Don’t highlight items in red, green or pastel colours. Label colours clearly on art supplies. 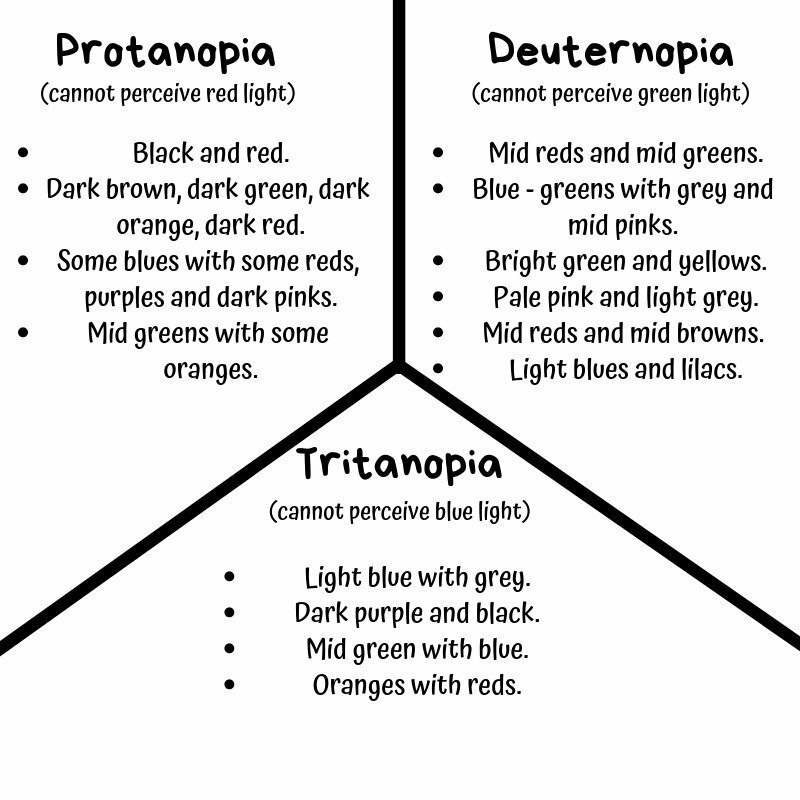 I’ve been working with a colour-blind student in my art classes recently and I’ve encountered a different set of problems to those listed above. In particular, I’ve been trying to help him distinguish between different colours when using a reference image. Quite quickly I found that my usual colour wheel is confusing for him, so gave him his own print out of the wheel, fully labelled. This way he can still learn the theory of which colours can and cannot blend. However, when copying an image, he finds a backlit computer screen preferable to a print out, as there is higher brightness, contrast and colour saturation. When painting, I provide him with two or three colours at a time, making sure they are varying in tone so even if they are all blue, he can tell one is light, one is a medium tone and one is a dark shade. There has to be a contrast in the tones for this to work, and I always tell him which colours I have mixed as the first step. Once a student feels at ease in the classroom, they are much more likely to grow in confidence. The simple act of a teacher offering help and adaptations allows them to relax and concentrate on their work more. Whilst conducting this research, I’ve found a great range of resources available on colour blindness. Despite the challenges it could offer, there are some fantastic contemporary artists who are colour-blind and have embraced their condition with their work: Justin Robertson, Daniel Arsham, Peter Milton and Neil Harbisson. My favourite by far was Meghan Sims, who’s diagnosed with achromatopsia, and sees in monochrome. She covers the colour labels on her paint tubes before copying her reference image, and the resulting paintings are impressive! Discussing artists from the past that are believed to have been colour blind, as well as contemporary artists with the condition, can really empower students with their artwork. Written by Laura Thomas, Art Leader art-K Haslemere. Share the art, share the post! 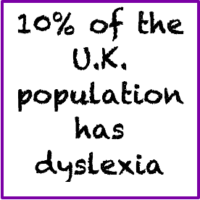 Dyslexia – what needs to change?